George Alphonse De Vos, professor emeritus of anthropology at the University of California, Berkeley, died at the age of 87 in his home in Oakland, California, of congestive heart failure on Friday, July 9, 2010. De Vos was known as a pioneer in the study of cultural psychology and migration studies. But at the heart of his agenda was an unfaltering advocacy for a more interdisciplinary approach to the social sciences that included psychodynamic, psychocultural, and psychosocial approaches (among others) to the understanding of recalcitrant human problems, such as social status inequality, interpersonal and economic exploitation, delinquency formation, alienation, suicide, racism, and ethnic conflict, to name a few. As a scholar and researcher, De Vos embodied the interdisciplinary approach fostered at his alma mater, The University of Chicago, where he received his B.A. in sociology (1946), his M.A. in anthropology (1948), and his Ph.D. in psychology from the Committee on Human Development (1951). Fueled by this interdisciplinary approach and by insight gained of experience from childhood through young adulthood, as well as opportunities created by historical circumstance, his career spanned a variety of professional roles as clinician, researcher, and scholar. Born in Detroit, Michigan on July 25, 1922, George De Vos was raised in Belgian immigrant communities in Detroit and Chicago. He was the son of an illiterate Belgian peasant father (Medard Joseph De Vos), and a mother (Marie Marina Tack) who spent her childhood in a wealthy flax merchant family later impoverished during World War I. From early childhood, De Vos learned the value of hard work. He witnessed firsthand the family dysfunction that can derive from status inequality, experiences during childhood that served later as a source of theoretical insight. He attended St. Sylvester’s, an elementary school run by the Catholic Sisters of Providence, and St. Mel, a Christian Brothers' high school in Chicago, which left him with a lifelong spirit of questioning ideology and resisting dogmatic authority, although he did briefly entertain the idea of entering a seminary. After one year at St. Mary’s College in Minnesota he enrolled at The University of Chicago. De Vos’s education at The University of Chicago was interrupted from 1943 to 1946 by World War II. He was assigned to an Army Specialized Training Program, where he learned the Japanese language for the purpose of U.S. Army intelligence. He occasionally recalled to his family the many conversations among the very bright young men of all ethnic backgrounds who had been thrown together in barracks to study Japanese. He was invigorated by those spirited debates, covering philosophy, political ideology, religion, and other interests shared by young men. Upon leaving the Army, funded by the G.I. Bill and with increased confidence in his intellectual abilities, De Vos reentered The University of Chicago, freshly inspired to pursue an education in the social sciences. He became involved in a project that made use of his Japanese language skills, as he interviewed and conducted psychological tests of Japanese-Americans in Chicago’s immigrant community. He was impressed by the degree to which the Japanese had assimilated successfully into American society, showing very low levels of youth delinquency, yet without losing their psychocultural heritage. The insights first gained from this experience later led De Vos to agree with Daniel Patrick Moynihan and Nathan Glazer’s view that the “melting pot” was not the right image for the American immigrant experience; a “lumpy stew” or “partially-melted fondue” were better images. 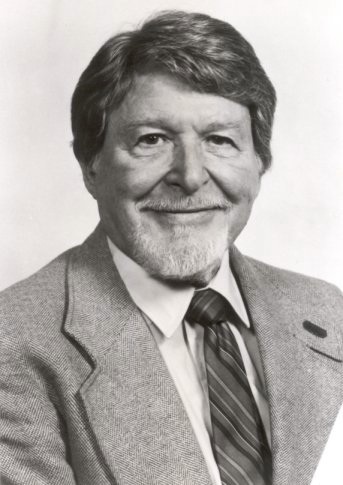 De Vos accepted a public health fellowship at the Illinois Neuropsychiatric Institute in Chicago from 1949 to 1950, and worked as a research associate in psychology at Michael Reese Hospital in Chicago from 1950 to 1951. He sharpened his interest in delinquency formation while chief psychologist and director of intern training at Elgin State Mental Hospital in Illinois (1951 to 1953). A Fulbright Fellowship gave him the opportunity to live in Japan and work at Nagoya National University’s Department of Neuropsychiatry (1953 to 1955). Upon returning to the U.S. in 1955, De Vos took dual posts at the University of Michigan, as an assistant professor of psychology and director of the Ford Foundation’s Japanese Personality and Culture Research Project. He left Michigan to become an associate professor at UC Berkeley’s School of Social Welfare in 1957. During his early years at Berkeley, his interest in delinquency, as a clinical psychologist, led him to work with inmates at the correctional facility in Stockton. But circumstance often played a role in his life. For example, on the untimely mid-semester death of an Asian studies professor, De Vos took on the job of teaching a Japanese studies course for the Department of Anthropology. From 1962 to 1966, he held a joint appointment in social welfare and anthropology. In 1965, he became professor of anthropology, remaining thereafter in the Department of Anthropology until his retirement in 1991. De Vos’s groundbreaking research generated international recognition for the emerging fields of “culture and personality” studies, psychological anthropology, and the cross-cultural application of psychological tests such as the Thematic Apperception Test and the Rorschach. His research involved working with dozens of cultures, including the study of psychocultural adaptations of Koreans in Japan, Native American cultural psychology, arranged marriage in Japan, Francophone Caribbean and African immigrants in Paris, to mention but a few; and this cross-cultural experience with psychological testing informed his testimony for the prosecution in the 1968 case against Sirhan Sirhan, ultimately convicted of killing Robert Kennedy. De Vos is perhaps best known for his work with the late Hiroshi Wagatsuma, a professor of behavioral science at the University of Tsukuba near Tokyo. In their Invisible Race: Caste in Culture and Personality (1966), they contended that caste relations exist in Japan and in the United States, as well as in India. Their other two coauthored books, Socialization for Achievement (1973) and Heritage of Endurance: Family Patterns and Delinquency Formation in Urban Japan (1984), are also considered landmarks in Japan studies. The 1973 volume examined achievement motivation in Japanese culture; the 1984 volume explored community influences on juvenile delinquency rates in Japan. Finally, in what he called his “last task before the long voyage home,” De Vos, with his son Eric (a cultural psychologist), produced a two-volume work that they hoped would serve as a definitive statement of the value of using projective tests as a window into psychocultural processes. The theoretical and methodological volume, Basic Dimensions in Conscious Thought (2004), spells out the full details of De Vos’s method for using the Thematic Apperception Test (TAT) in comparative psychocultural research. The edited volume, Cross-Cultural Dimensions of Conscious Thought (2004), is a collection of papers (many of which were provided by De Vos’s former students and colleagues) that provide empirical cultural case studies illuminated by the use of the TAT. De Vos’s bibliography includes more than 200 scholarly articles and 20 books, which are impossible to describe adequately here. 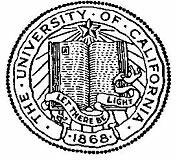 Detailed bibliographic information can be found at: http://www.lib.berkeley.edu/ANTH/emeritus/devos/index.html . Detailed autobiographical information about his personal and professional life prior to 1994 can be found in two companion chapters by De Vos: A Personal Odyssey and Psychological Anthropology: A Professional Odyssey, published in 1994 as Chapters 2 and 3 of L. B. Boyer, R. M. Boyer and H. F. Stein, eds., The Psychoanalytic Study of Society, Volume 19, Essays in Honor of George A. De Vos (Hillsdale, New Jersey, The Analytic Press). De Vos’s influence on his field has extended to the introduction of commonly used words in the scholarly and popular lexicon. For example, he and anthropologist Lola Romanucci-Ross initiated the term "ethnic identity," now widely used in social sciences, with the publication of Ethnic Identity: Creation, Conflict and Accommodation in 1975. De Vos’s own ethnic identity as a Belgian Fleming–an ethnic group that has suffered from discrimination for centuries at the hands of the French-speaking Belgians–had initially fueled his interest in ethnic identity and ethnic conflict. The issue of ethnicity more generally became a central theme that pervaded his work. Another term often used by De Vos that is now widely used in the social sciences is “cultural psychology.” It first appeared in a chapter that De Vos and anthropologist Arthur E. Hippler wrote for The Handbook of Social Psychology in 1969. Though Wilhelm Wundt may have been the original cultural psychologist, his late nineteenth century work on folk psychology remains largely unknown to American psychologists. The work of De Vos and his contemporaries (including the Whitings and others), followed by their respective lineage heirs, can be credited with the re-invention and invigoration of cultural psychology. De Vos’s personal experiences of degradation during his own youth became another theme that pervaded his work, i.e., the study of psychocultural causes and consequences of status inequality. De Vos’s mother never let her janitor husband forget their differential statuses, and De Vos grew up watching firsthand in his own home what status inequality and social degradation could do to people. He made sure to convey to his children the message that all work, no matter how menial, is worthy of respect. He did not see issues of race-, class-, and gender-based exploitation from traditional sociological viewpoints, which emphasize economic, political, ideological, and rhetorical processes. While recognizing the relevance of these processes, De Vos also saw exploitation to be based on more primitive psychological mechanisms and defenses related to ideas about contamination and pollution. He also recognized the importance of socialization processes, and the psychological mechanisms of internalization and identification, that occur developmentally in a psychocultural context. His ideas about the mechanisms that maintain various forms of status inequality are scattered through his writings, but can be found collected and well articulated in a volume coauthored with Marcelo Suarez-Orozco, titled Status Inequality: The Self in Culture-Vol. 15 (1990). De Vos was not only respected but was well loved by his former students, many of whom returned to the San Francisco Bay Area for a celebration of his 80th birthday. Former colleagues and students have said De Vos’s scholarly brilliance was matched by his wit, indefatigable work ethic, and encyclopedic knowledge of ethnicity and ethnic groups. “The role George loved most was the intellectual trickster, a coyote figure and a gadfly to some of his less creatively inter-disciplinary colleagues and to generations of anthropology graduate students,” said Nancy Scheper-Hughes, a UC Berkeley professor of medical anthropology and former De Vos student. De Vos was known for special informal seminars conducted at his home in the Berkeley hills and in a World War II-vintage bungalow on the UC Berkeley campus. The sessions featured brainstorming on everything from the merits of psychological testing to hands-on work with fresh test material obtained, for example, from researchers at an Israeli kibbutz or in highland New Guinea. Those lively and eye-opening sessions are fondly remembered by all who experienced them, including De Vos’s children, who sometimes accidentally stepped into the middle of them. De Vos’s children also remember their father as a hard worker and taskmaster, who would arrive home after giving everything to his students, only to fall asleep on the sofa in a state of exhaustion. Yet on the weekends he awakened early, ready to go full tilt at projects and chores around the house, to which he would recruit his not-always-willing children. His creative eye saw every house he lived in as an incomplete work of art in need of creative attention, renovation, or expansion. For De Vos, to live was to work, to produce, to create, and then to enjoy. For him, to have a child by his side engaged in productive labor was to relive vicariously his love and respect for his own father. In 1944, George De Vos married Winifred Olsen, whom he had met while in the Army, as she was working towards her undergraduate degree from Antioch College. She later became a psychiatric social worker with a degree of Master of Social Work from The University of Chicago’s School of Social Services Administration. Winifred joined George on many of his global adventures prior to their divorce in 1974. They had four children, Laurie, Eric, Susan, and Michael. While De Vos was on sabbatical to take a research fellowship in Paris from 1963 to 1964, the family circumnavigated the globe, with the goal that the children would see as many of the “wonders of the world” as could safely be visited. To this day, the De Vos children acknowledge how their experiences that year forever changed their view of the world around them, by providing them with a broad perspective on cultural differences amidst human similarities that later impacted their personal and career choices. As adults, they all reflect something of their father’s legacy in their own lives. After his divorce from Winifred, George De Vos married Suzanne Lake in 1974. An actress and singer who trained in opera at The Juilliard School in Manhattan, Suzanne gave up a successful career on Broadway to join De Vos in California, where she continued her musical career until 1997. George De Vos and Suzanne Lake-De Vos were devoted to each other, emotionally and intellectually. Together, they continued to travel the world. De Vos also continued to travel to attend conferences and give invited talks, for as long as he was able. By 2009, as he reached the middle of his 86th year, his failing health finally made travel and public speaking impossible, and with great regret he had to decline further invitations. One final voyage remained, and his work here is now completed.